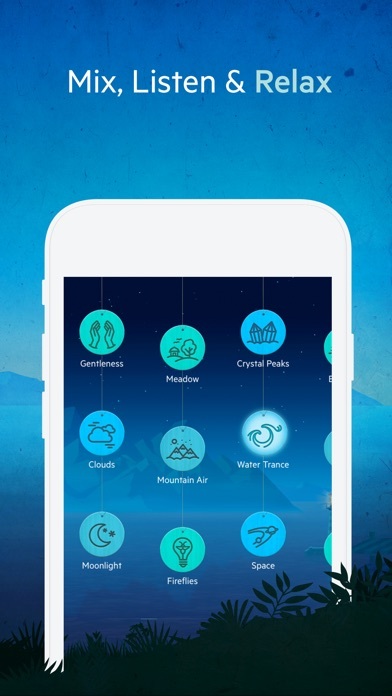 While I love the sounds offered by this app, the guided meditations are way too “talkative”! Kind of self-defeating to listen to constant chatter. I’ve been having a horrible time sleeping for the past few months, this app helps me so much falling asleep. Thank you! Great setup! Love the timer!! Perfect! I love this app so much. When I need to have a moment of mindfulness or just a moment of calm, I use this app. 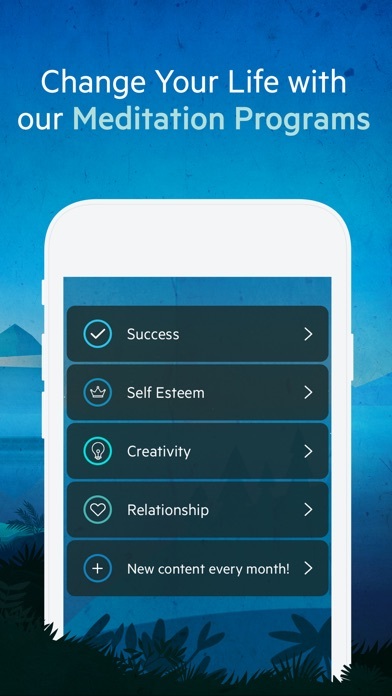 I also used this app to study, it helps me focus and calm down while doing schoolwork. And when I need to quiet my mind at night, I make a mix of calming and relaxing sounds to help me go to sleep. When I deployed this was my go to app to drown out all the background that was happening. It gave me rest and calmness of mind. Love this app! I use it to help me fall asleep! 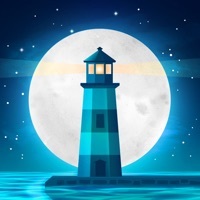 Great app to relax to and fall asleep to. I highly recommend. I love using this to help me fall asleep; great sound options and timers. Perfect Sound for the Perfect Moment! Thanks! I have been doing this app for a long time and I feel much better everyday. Every night when I would do this app, every morning I felt happier. If you looking for a app to help you meditate, or if your having a bad time sleeping this is the right app for you. Thank you for the gifted sounds they really helped! 🦋 I love all the sounds! Thank you for making this,I shall use it every night. I am in a lot a stress and this made me feel better, happier, and to be not so sad all the time. Thank you for the time in marking this. I love this app. I sleep with it going during the night. Love the calming or familiar sounds. Such as croaking roads and rainfall. Love it!!! I paid for a lifetime access for this app bc I use it every single night to sleep. Suddenly I am cut off and have to RE SUBSCRIBE an additional $20 for another “lifetime” access. This has happened to me on an additional noise app. Unreal. 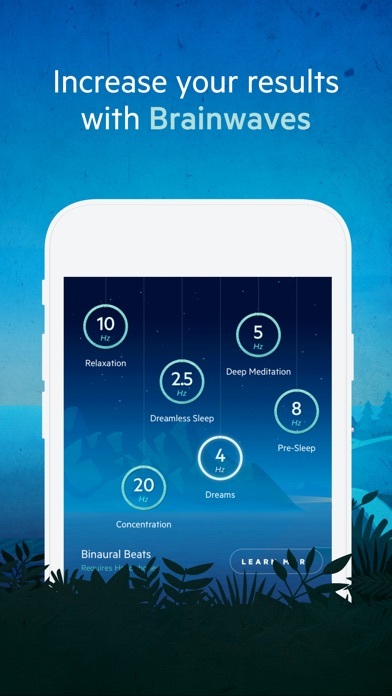 This sleeping app helps me sleep and relax. 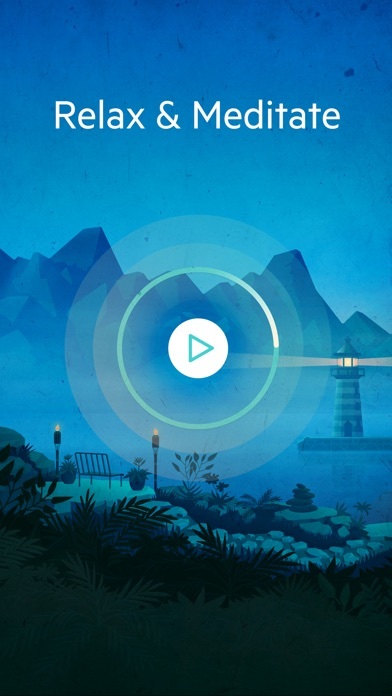 Great app for meditation or just ambient sounds. Love it! Try the guided meditation, omg fabulous! I am special operations, recommended by our TBI clinics, works exactly as intended. Better than the yearly subscription apps! My lifetime subscription I purchased a year ago is unable to be restored in the settings. Be aware of this before you purchase that subscription. Now I’m unable to access the meditations I once had. This is a great App. 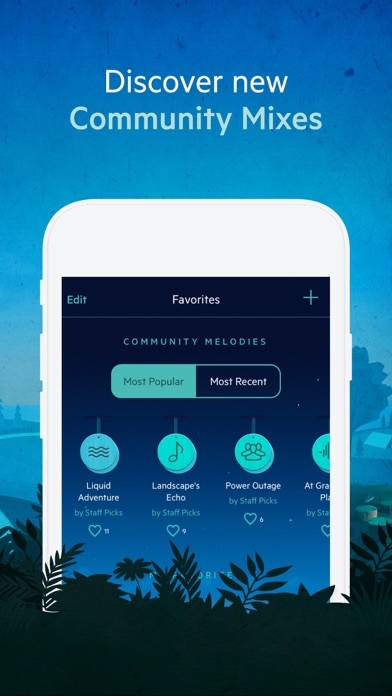 I have used multiple sound apps and found this one to be the best. So much so that I paid the $19.99 for the lifetime membership a couple years ago for the Pro Edition. Now it’s gone and they are requiring me to pay again. Not happy. I love this app and was super disappointed to have to delete it. It works well and the sounds are wonderful. But, it would cause my phone to do this terrible, beep that happened twice in a row. It is quite disturbing. Due to this I deleted the app. I think this app is amazing! The only problem is that you have to upgrade to “Pro” to get the full app potential. Other than that this app it great! I LOVE customizing my own sounds! It gets me in a state of realization and relaxation. I definitely recommend this app. Headspace is a great app for sleep also. They tell you stories and such. They have much more and not just stories. Get this app. Get both apps. Take this from a person who suffers from Sleep problems. It will help you a lot. I’m not saying it’s going to fix everything, but it will help a lot with calming your mind and helping sooth bad habits and stress. You are a Queen. Own it. Take care of yourself, and don’t let a group of people bring you down when there is 8 billion people in this world that can help you up. I’ve been using this app for my alarm clock for years and I love its consistency, ease of use, and quality of sounds. Does exactly what the title says... relaxes you!!! I use this app every single night for my kids to fall asleep to! Highly recommended !!! Even helps me sleep!! My sleep quality has improved greatly. This app has done wonders for my sleep patterns. I can’t even tell when I have drifted, best feeling ever all thanks to this app! This has been my go to app for white noise for sleep for years now and until now I’ve never had any problem. Today I opened the app and all of my mixes were gone and there were ads on the app. Ages ago I paid a supposed one time fee for all of the features. This wasn’t a subscription because I would not have done it if it had been as I loathe apps that require a subscription. But now the app is telling me to subscribe to use all the features and I’m pretty frustrated. Loved the free version. Love the paid version even more. It is my go to when indeed to relax. A great app! I am enjoying all of the sounds. I have just started meditating and this app. makes it so easy to do. Helps me relax after a long day at work!